Welcome to Saturday Spotlight! In this new series, GameLuster staff members share their currently playing for the week, whatever that might be. These aren’t reviews or impressions pieces, just some thoughts. One of the things I love about the recent passing of Christmas is the opportunity it affords me to add new games to my collection. Plenty of stores sell games cheap and Christmas usually nets me a game or two I wanted, and under the tree this year came Atelier: Lydie and Suelle and the Mysterious Paintings. I would be lying if I said I wasn’t drawn to the game because the main girls on the boxart looked adorable, what can I say, I love cute things. 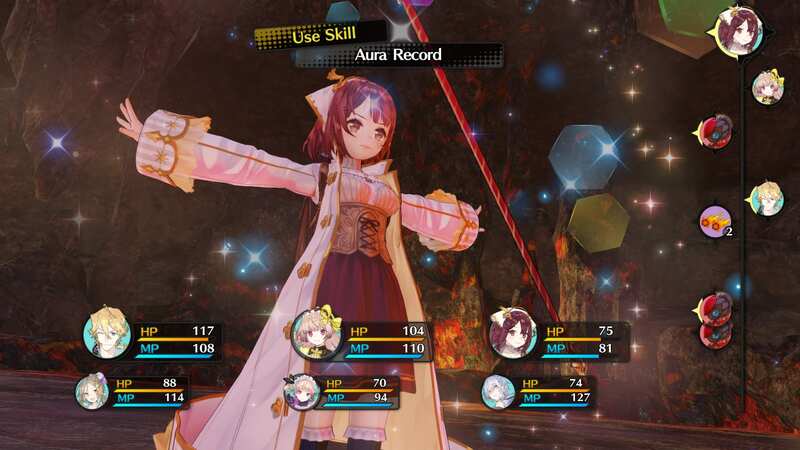 About this game I knew nothing, I have never played an Atelier game before, and I didn’t even know these existed until I found this game on the Switch – but that is half the fun. I really did not know what to expect, but what lay before me was a world that I can only explain as tranquil. 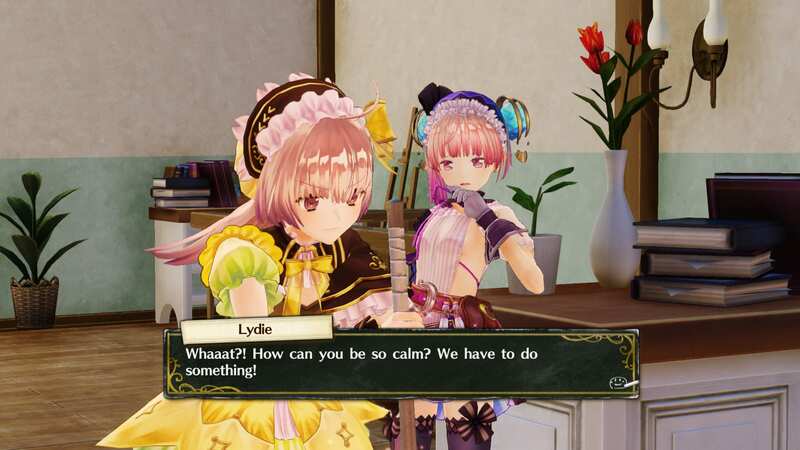 Despite a story with sad undertones, Lydie and Suelle is a pretty upbeat game with a beautiful art style. The characters only aim to become the best due to a promise and go through whatever comes their way in stride, completing tests to raise their rank as alchemists, and fighting daunting creatures. All the while they spend their time gathering materials in a wide assortment of eye pleasing environments. The simple act of gathering resources and running about the environments puts me at ease, even if the monsters that roam the environments are scary, at least at first. While I don’t typically enjoy turn-based combat there is something to this game that draws me in. While on the surface the game seems similar to everything else, the way most battles go is what keeps me coming. You can’t just rely on a heavy hitter to reduce enemy attacks: instead some enemies are best handled using an assortment of battle items that you will need to make. This works well when the main characters aren’t fighters but still go about monster hunting. In addition I love the combat support system where once you have more than three party members additional characters help from the background with effects triggered by meeting certain conditions. I am surprised by how engrossed this game has me. At this time I am seven chapters in and can’t wait to see more. I love every character and look forward to seeing all of the main story and side stories. This game is simply relaxing and something I am sure that, even after I eventually finish it, I will remember and want to come back to. If you ever want to play this game do yourself a favor, don’t mess up like me. Remember to save often as there is no autosave feature. I was on chapter eight and lost around five hours of progress after my Switch encountered a random error. Oh well – time to get back to the beautiful world of Atelier to explore more beautiful worlds and collect random resources. After years of waiting, I’ve finally picked up Final Fantasy X for the second time. This go around, I’m playing the HD Remaster on the PlayStation Vita. I’m still really early in the game. 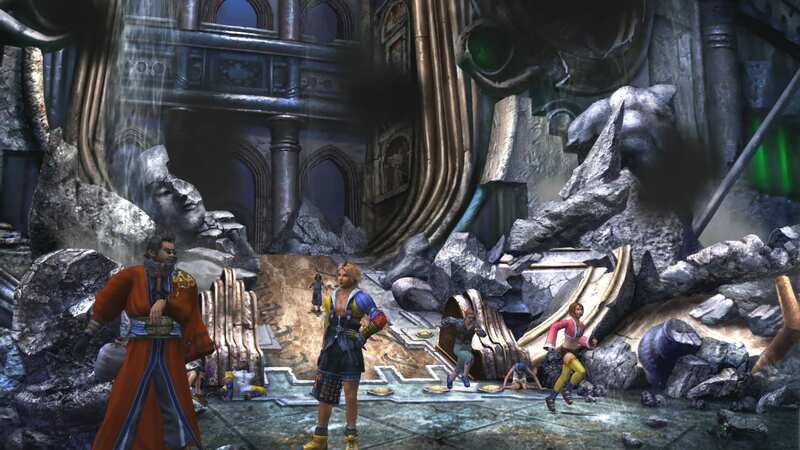 Tidus and friends are about to enter Kilika Temple and get Yuna’s second Aeon. As a child, I played through the game up until the end of Mt. Gagazet. No matter how many times I tried, there was no way to beat Seymour Flux. He was the one wall I could not overcome. Hopefully, things will be different this time. Anyway, that boss fight is still a long way from now, so I’m not worried. Coming back to Final Fantasy X has been a wonderful treat so far. The game looks pretty sharp on the Vita. There are drops in the frame rate, but it’s not too bad. Since this is a turn-based RPG, the frame rate isn’t vital to the gameplay. After playing so many action games recently, it was refreshing to relax and take my time with combat. The battles flow surprisingly smoothly. They don’t take too long contrary to popular beliefs about turn-based games being slow. What caught me by surprise the most was the voice acting. It’s a lot better than I remember. There is some inconsistent quality but this was the first Final Fantasy game with voice acting. I believe a lot of the negativity comes from one specific scene. It’s the one where Tidus starts laughing like a cow. That one moment has given Final Fantasy X a reputation for horrible voice acting. Honestly, it’s not that bad. Another debate I read about online concerned the remastered music. It seems the fans are divided about which one is better. On the PS4 version, you can swap between the original and remastered tracks. On the Vita, you’re stuck with the new music. I listened to the remastered soundtrack a few years back when the game came out. Back then, I wasn’t a fan and preferred the original music. It’s safe to say I’ve had a change of mind now. After playing the game and hearing the music in context, I have a new appreciation for it. The use of real instruments makes a huge difference. I’m not an expert on music, but I can tell when something sounds good. Now, I want to talk about the opening cutscene. This is seriously one of the best opening sequences in any game. We get a small snippet of what a proper Blitzball match would be like. It’s right up there alongside Quidditch in the list of fantasy sports I wish were real. Blitzball is better since it takes place inside a giant ball of water. One other thing I noticed this time was Auron. He was holding up a bottle of wine towards Sin as the beast attacked the city. It may seem weird at first but makes a lot of sense in the context of the story. I won’t say exactly what the significance is but it’s a very deliberate gesture. I’m 95% sure that it wasn’t Auron acting like a drunk and toasting to the end of the world. 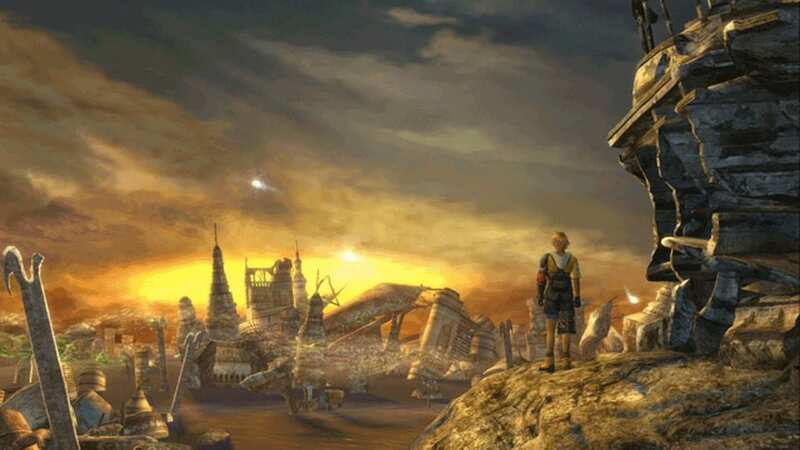 Playing Final Fantasy X has brought back a lot of great memories. I’m looking forward to playing through the rest of the game. This time my goal will be to defeat Penance, the final super boss of the game. Before that, I will have to first overcome my duel with Seymour Flux. I’m eagerly awaiting my chance to get revenge and finally put one of my childhood failures to rest. I know I’m making this sound overly dramatic but that’s part of the charm your childhood nostalgia brings. I’m sure everyone has that one adversary which has bothered them for the longest time. For me, it’s that damn Seymour Flux. Until then, I’m just going to enjoy travelling through Spira one more time. We’d love to hear about your currently playing, so let us know in the comments below!